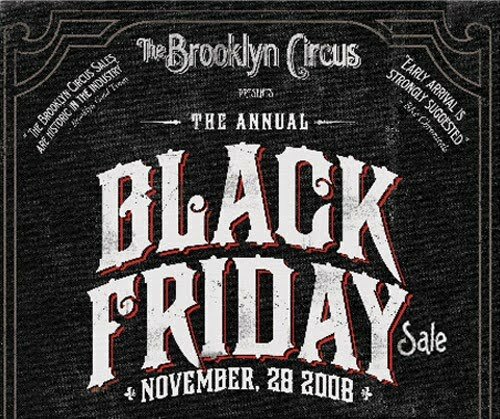 BLACK FRIDAY thru CYBER MONDAY : FREE WORLDWIDE SHIPPING!!! The time is here my friends, the holiday season is officially upon on! To celebrate, I am offering all my lovely customers FREE SHIPPING!! Whoo hoo!! Receive FREE WORLDWIDE SHIPPING on any order you place in my Etsy Shop from Friday Nov. 27th thru Monday Nov. 30th! No coupon codes required, your shipping amount will be refunded to you within 24 hrs of purchase. I know, I know, today is Thanksgiving and all I have on my brain is Christmas! Thanksgiving is nice and all but for me all it really end up being is a time marker before Christmas. Sorry ancestors, I know I should be more into this whole thing, but alas, the allure of red, green, gold, silver, Santa and reindeer is just far more appealing! *Fun Thanksgiving Fact: One of my direct ancestors came to America on the first Voyage of The Mayflower. I'm super, extra American! This means none of the food I eat today contains calories! Yay! Last year I was in such a frenzy getting all my holiday orders out I had little time to stop and smell the Eggnog ( actually, I've never tried Eggnog and probably never will). I only recently was able to browse Etsy a little for fun gifts and you know Etsy never has a shortage of fun, unique and quirky gifts for some of your especially strange loved ones! I always find a whole buncha stuff that is adorable but not really anyone to gift it to. So, I will show you what has caught my eye and maybe YOU will have someone thats perfect for it! I mean I was thinking about getting my Dad these adorable glasses with the pink heart decal on them but he already bought them for himself! Jeez Dad! Anyway, here are my finds! 1. Nerdy Heart Glasses by Steppie : If these aren't the cutest thing in the world I don't know what is! 2. 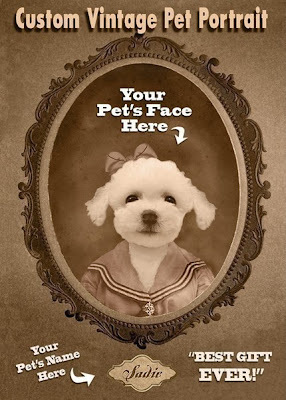 Custom Vintage Image of Your Pet by HotDigitalDog : This is hysterical, I need one for every dog I've ever owned! 3. 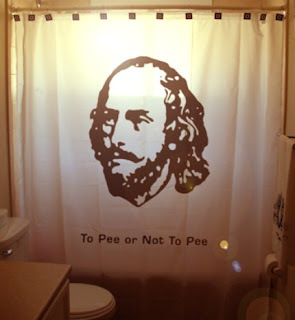 William Shakespeare Shower Curtain by Custom Shower Curtains : I laughed out loud when I found this! 4. 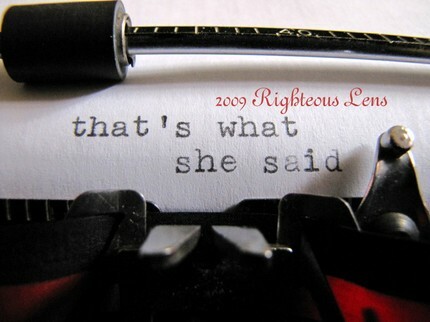 "Thats What She Said" Print by RighteousLens : Ummm, I LOVE "The Office", need I say more? 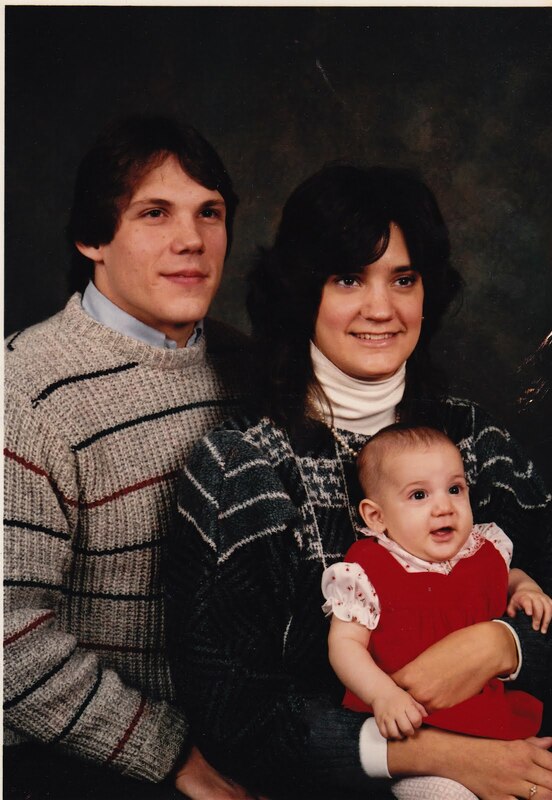 I kept digging through pictures after my last couple fabulous throwback picture finds and found this...and pretty much haven't been able to stop giggling about it for the past 5 mins. It's an excellently perfect 80's Sears Photo Center style family portrait of my parents and baby me! When I was a kid, I was awesome. Actually, I'm hoping that description is still applicable now as well. I kinda looked like a boy, but thats ok, I feel it just added to my effervescent charm and general overall coolness. I collected rocks and sold them at garage sales, I hated wearing jeans, I tried to drink the juice out of solid fruit with a straw, I LOVED Macaroni and Cheese, I rode around on a Big Wheels and gathered a treasure trove of items to store underneath the cool flip open seat, I was a hairdresser, my favorite show was Sharon, Lois and Bram, and I loved listening to Bon Jovi and Guns N' Roses. 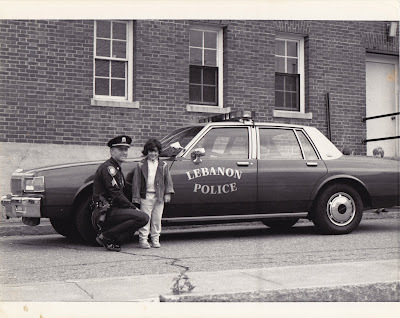 I even fought crime with the Lebanon, New Hampshire Police! 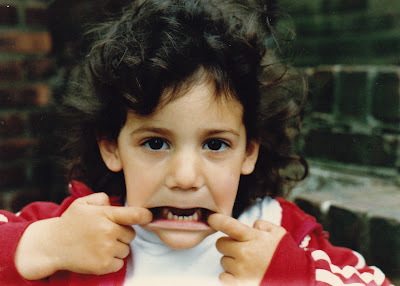 I was a busy kid, a funny kid, and a generally weird kid. Luckily, not much has changed, at least with the "weird" description. I came across a couple pictures of me when I was about 4 or 5 and decided they were so excellent that i had to share them with you! 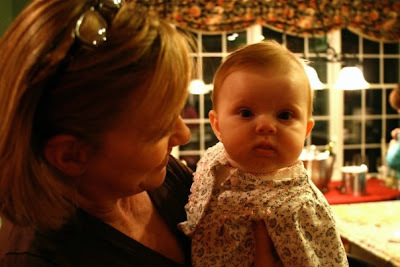 I wonder if the tiny "me" in these pictures had any inkling that one day I'd be playing with fire and metal as my job? Or that my life would be almost completely controlled by a silly website called Etsy? Holiday Trunk Show Continued: The Guests Arrive! 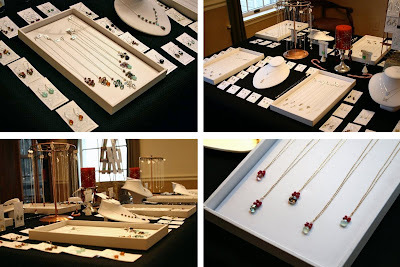 I was literally only able to snap a few pictures of the trunk show and guests in action at the very beginning of the show,within the first 20 mins of it while there was still room to move around! Once everyone showed up it was pretty impossible for me to duck in an out of corners to secretly snap photos of the guests shopping so I just gave up and focused on the trunk show itself. 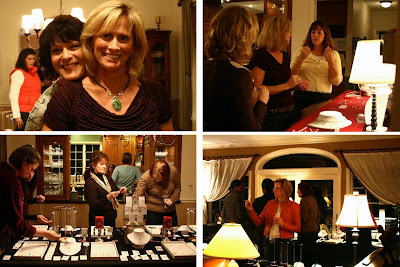 So anyway, here are the few shots I did manage to snap of my happy guests mingling, having cocktails, laughing, browsing and trying on jewelry! 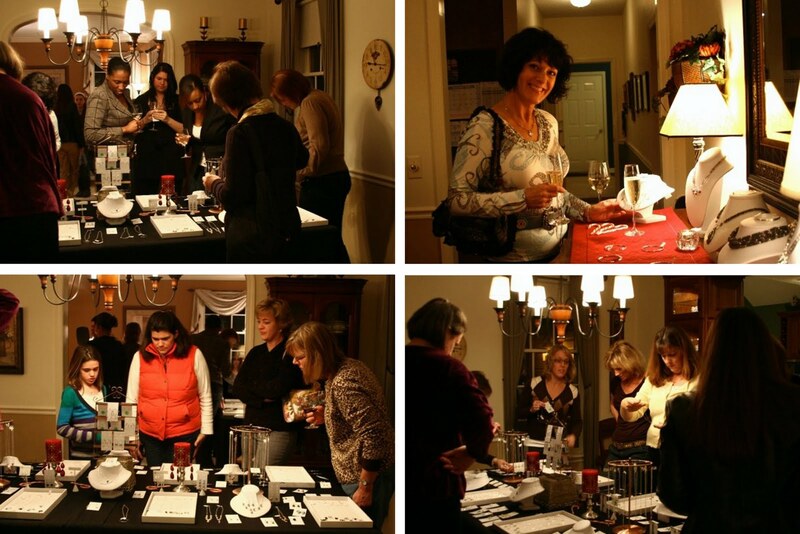 Thanks again to everyone who came out, it was so much fun! Can't wait for next year! 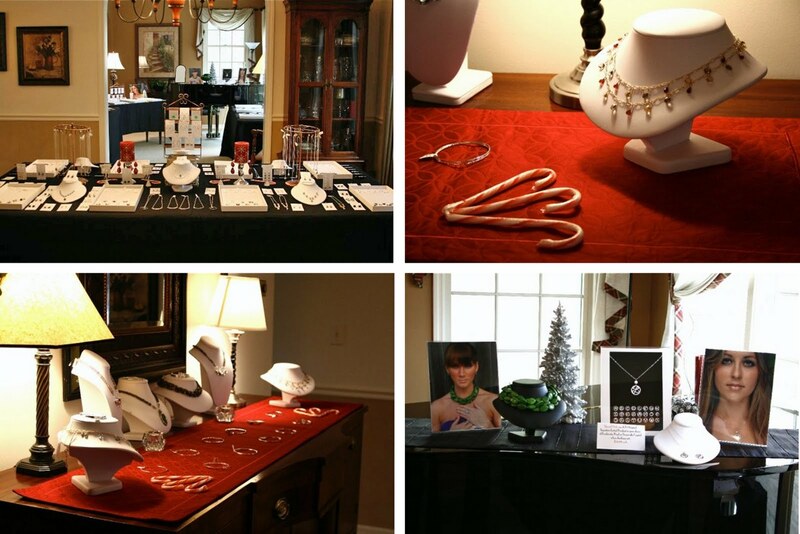 2nd Annual Mega Holiday Trunk Show : THE SPREAD! I've had a couple days to recover a bit, I had originally planned to give myself the full weekend off, but thanks to a sudden explosion of Etsy sales beginning the night of the trunk show (Thursday) and through the weekend, I'm just as busy as ever! 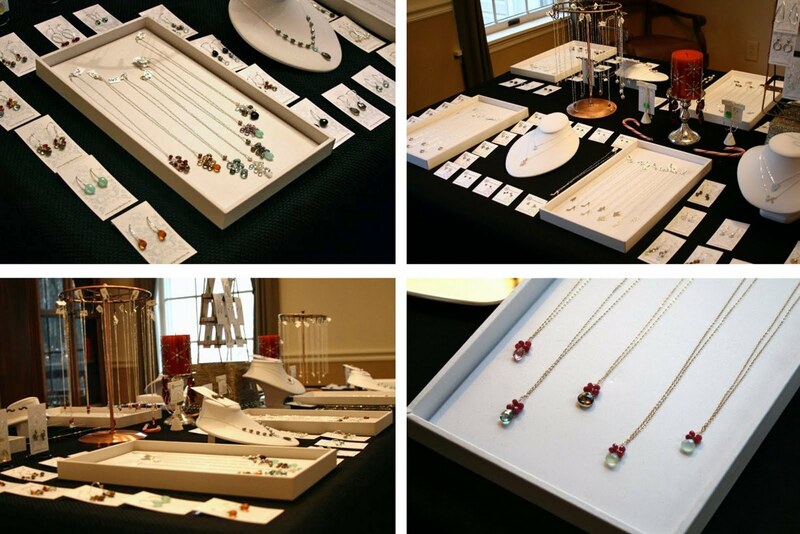 While I am in fact a very busy bee right now, I DID promise you all some photos of the Trunk Show! I have quite a few so I'm going to have to split them into 2 posts, this particular post will just be photos of the setup, next will be some of the party! 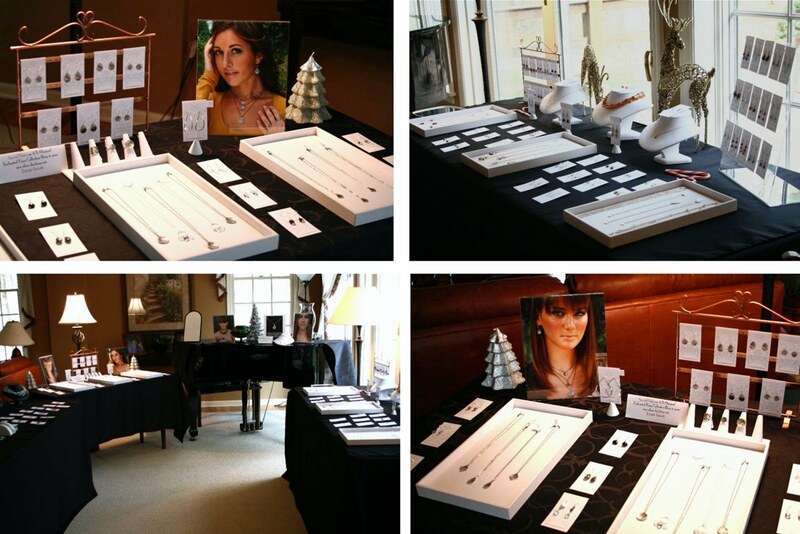 I setup the display the day before the Trunk Show, it took me ALL DAY LONG! 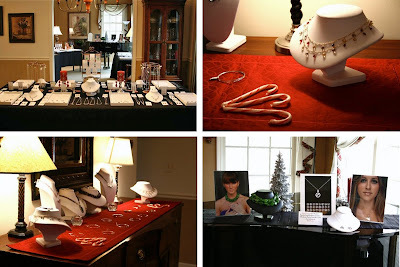 I probably had well over $10,000 in retail product displayed! Thank god I planned ahead and gave myself a full day to play with the setup and lights etc! 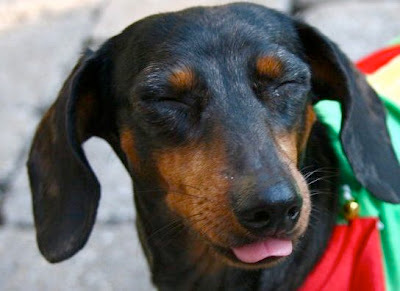 Anyway, enough of this blabbering, on to the pictures!!! "Why don't you just say it, I'm a Cotton Headed Ninnymuggins..."
For the past 3 weeks or so I've been feverishly preparing for my Annual Holiday Trunk Show, and today is the day of "The Big Show"! I'm nervous, excited, exhausted and a million other things, I never deal well with the anticipation on the day of the event! Up until today, my days have been packed with jewelry making, pricing, cleaning, organizing and wrapping up loose ends, I think when I go to sleep tonight, after the show, it will be the most magically restful and peaceful sleep of my life. To sleep without the thoughts of a looming show dancing through my brain for one night will be nothing short of bliss!